A blog about technical knowledge. you don't have to put up with your device keyboard. You can use more than one keyboard at a same time. You can download your favourite keyboard from Google Play Store. Some of the best keyboard are like Swiftkey or go keyboard. you can change your keyboard setting in this way settings> language and input. See you have choice to choose your favourite one. there are many app installed in our smartphones. Some of them we download for our need. But many app run in the background even when you are not using them. It is easy to understand that you would not like your unnecessary apps or games kills your battery life and also use your data packs. So if you want to disable background data in Android go to settings and data uses. Tap on your app of choice then scroll to the bottom to restrict background data. your device is now so smart because it can check the temperature. It means that the temperature sensor are used to judge whether you are comfortable in your current environment or not. I know it's not you so useful but at least you can check temperature and humidity of your surroundings. You can be assured that wherever you are more comfortable your workout. A lot of data in your smartphone or you have some personal data which you want to secure with a password. P because you don't have to worried about your privacy when you have smartphone in your pocket. Party application to secure your data or files. Just search in Google Play for a security app. 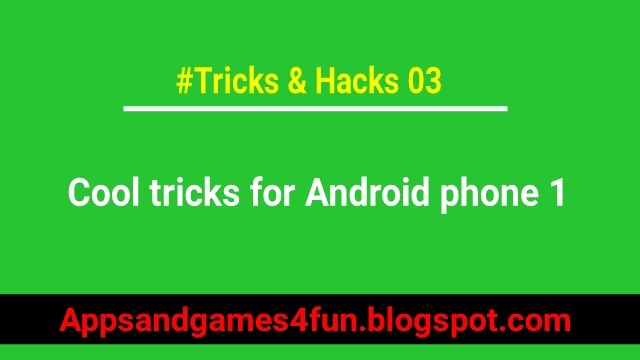 There are many apps available in the Google Play such as app lock or security keeper etc. In the modern age no one wants to lose any memorable moment. Everyone wants to take a perfect shot of any exciting thing. Using your smartphone you don't need to prepare, grab your phone out of your pocket and shoot. It is so easy and simple for everyone you don't just capture of photo you capture happy moments. App using your camera and capture a perfect shot. Use burst mode to capture the perfect moment in motion. If you like any article of a webpage you don't need to keep online to continue your reading. Maybe you don't have time to read the full article. You can save that page for offline. When you will have time just read the webpage you saved. There are plenty of applications which will help you to do so many applications are available on Google Play. Search as offline Browser. Another way is you can save your pages in your current Browser. Many Browsers come with its inbuilt feature. If you want to save your voice charges you can use Google voice or WhatsApp or Skype to save your voice charges. You can use WiFi or cellular data for this work. If you always want to stay in touch with your friends and family use these apps. Let you tolk and send messages for free around the world. These apps provide you free service and you will be stay in touch to everyone in the world. Our cellular data is very important for us. It's also true that they are very expensive. So if you want to save your money and data at the same time use Wi-Fi as much as you can. It's very easy that whenever you go like hotels, office, coffee shop etc use their Wi-Fi to save your data. Even Wi-Fi is much safer than your cellular data. If you have a smartphone you don't need to spend money in buying a universal remote. There are many apps available on Google Play which can turn your smartphone into a universal remote. If you want to make your photos more beautiful and retouch them as you wish, you can use your smartphone to do this. You don't need a PC for this job. You can use a third party application to retouch your photos. 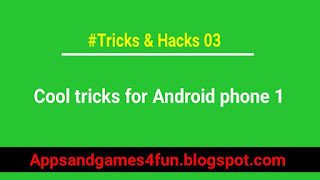 There are many apps available on Google Play which you can use for free. Just download and install any of them and start editing your photos. These apps have many features and options so now you can use your phone as your helping tool to edit your photos make your photos more beautiful and say them on social networking sites. Hello, My name is Suraj Bhaskar and this is my own blog where I write about new techs. I like to share my knowledge and try to help others. Thanks for reading my blog. Please give your feedback here. Thanks again.